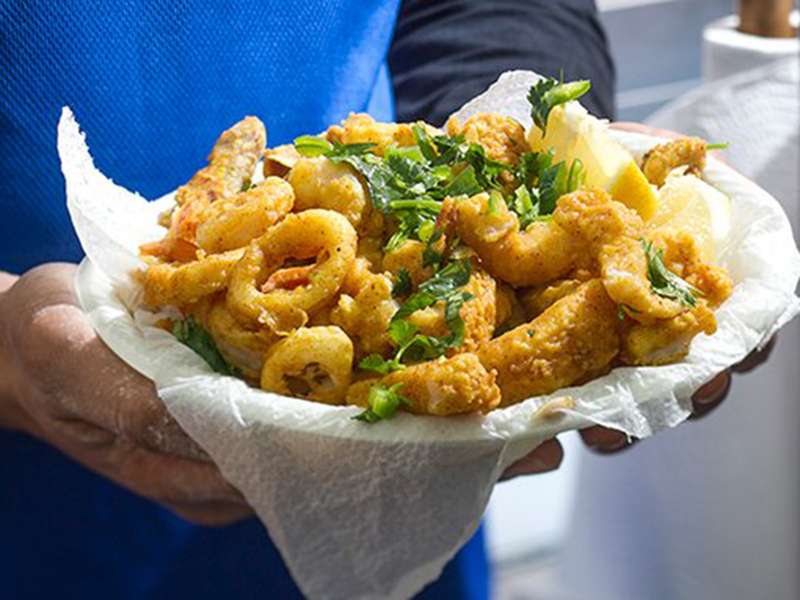 Some of the best things to eat on a budget – and eat period – can be found on the streets, Jaffa's streets to be exact. 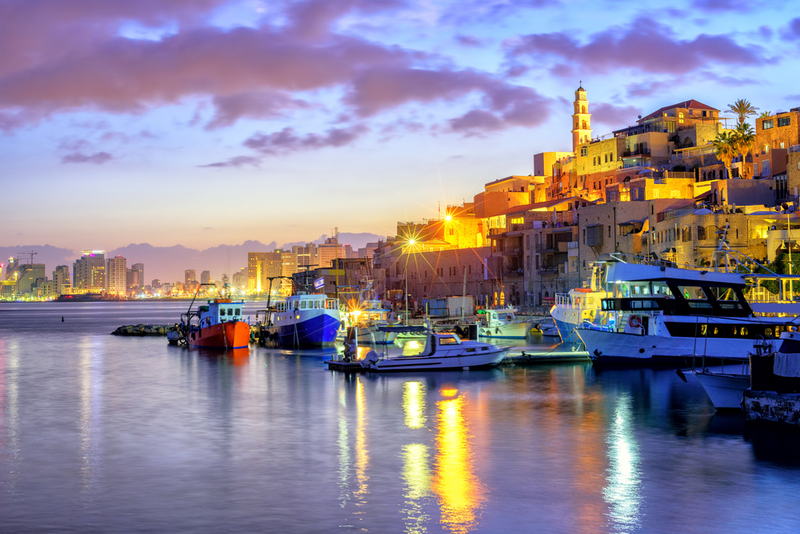 Though the food truck trend has yet to hit Israel, Jaffa is a goldmine for top notch, authentic street food. 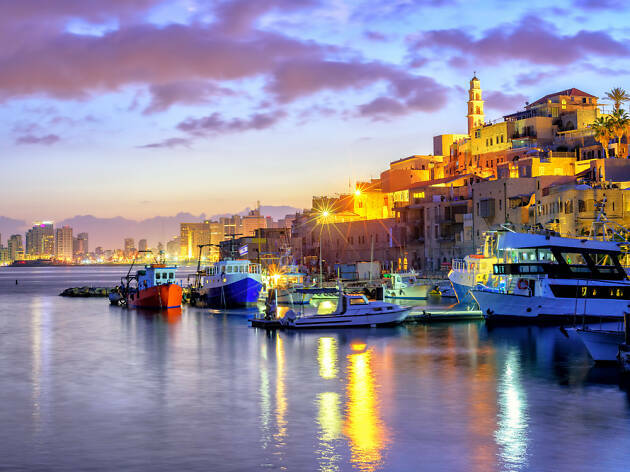 Most authentic Jaffa street food is not only quick to cook up, but very filling, making it the perfect fuel for a long day of exploring the city, including areas nearby like Neve Tzedek with its incredible jewelry shops and designer boutiques and the ever-so-hipster Florentine. Here’s to joyfully chowing down on the best hummus your taste buds have ever met! 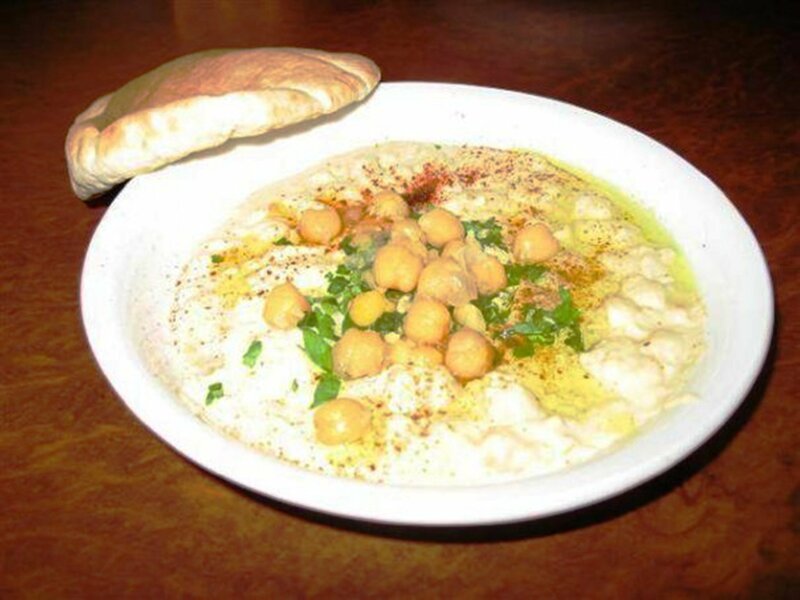 Don’t miss Abu Hassan, the go-to place for a plate of creamy chickpea goodness. 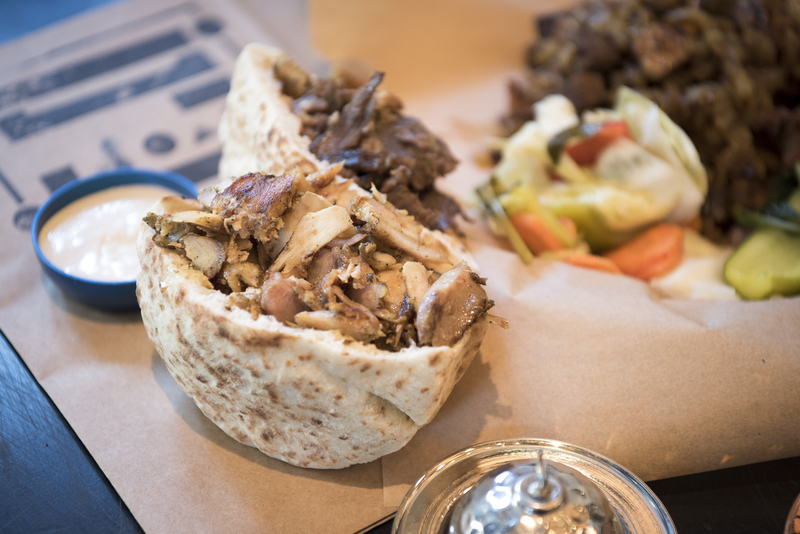 Take it to go or eat in house; you won’t be disappointed. For a real local experience, order the ‘masabacha’—it’s another version of hummus, topped off with chickpeas in their juice and other trimmings. This hearty spot, located in the Jaffa Flea Market, is the brainchild of Bino Gabso, aka Dr. Shakshuka. 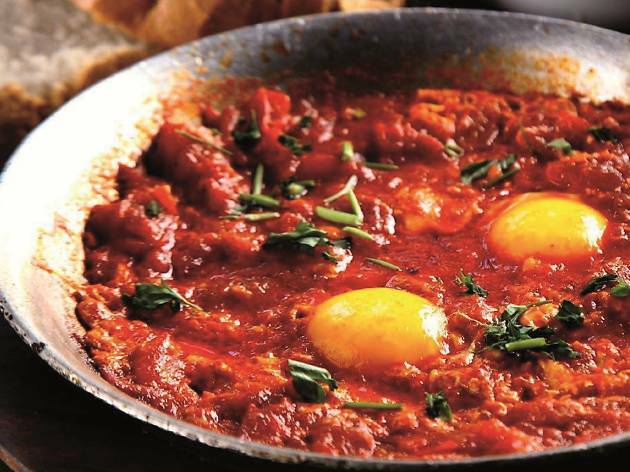 For many years, people have flocked to this restaurant for authentic Tripolitan food and the signature shakshuka (baked eggs in tomato sauce). These come in many different renditions; try it with mushrooms, or shawarma, or a selection of other amazing add-ins. 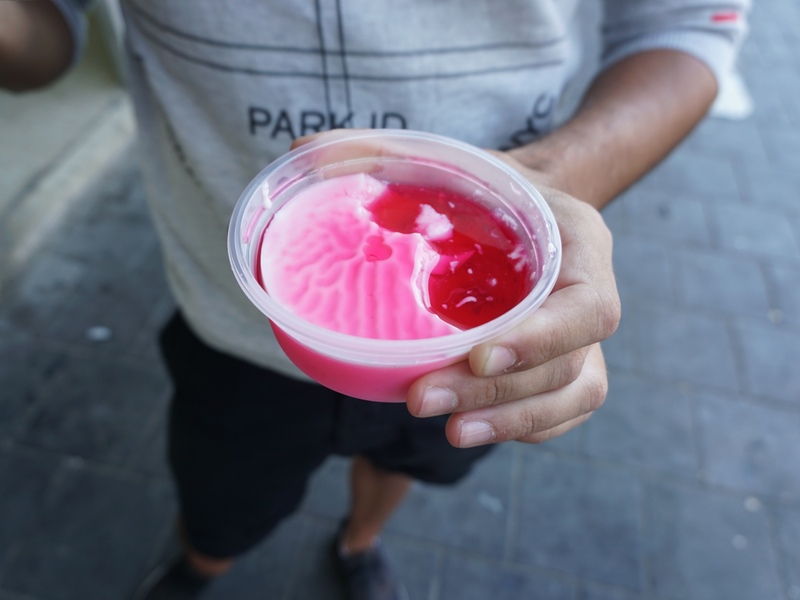 Bino serves up the Israeli street food staple you've secretly been craving without even knowing it. 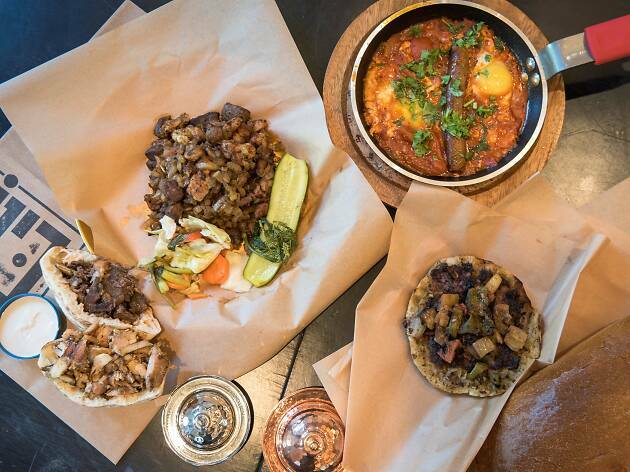 Layers of lamb meat, veal meat and succulent lamb fat soak into their warm pitas creating a concert in your mouth. 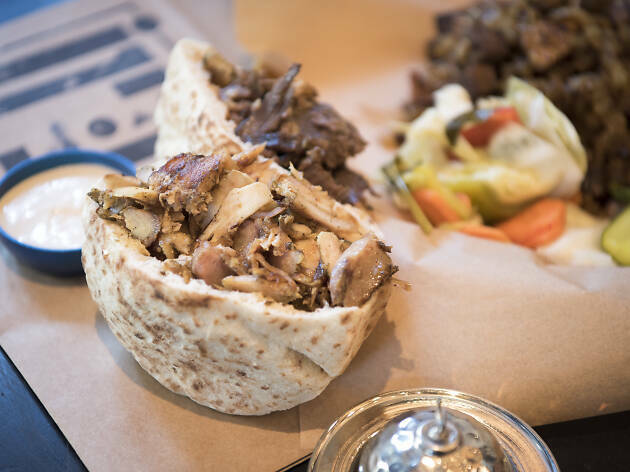 Peppered with secret seasoning, Shawarma Bino comes with a select number of additions, including chuma pepper, red eggplant salad and chopped onion. If you try to alter the order, be ready to receive the cold shoulder - and for good reason: the Bino Shawarma should be eaten exactly as is. If you choose to do otherwise - you'll pay the cost. There’s no better place to eat freshly fried fish and chips than directly on the sea, looking out at the boats peacefully drifting by. At this little seafood shack, you can find perfectly cooked, crispy-on-the-outside, juicy-on-the-inside fish and chips cooked to order. Just go right up to the register inside where you order and pay, and then give the cooks the piece of paper with your order on it, wait for your name to be called, and chow down! 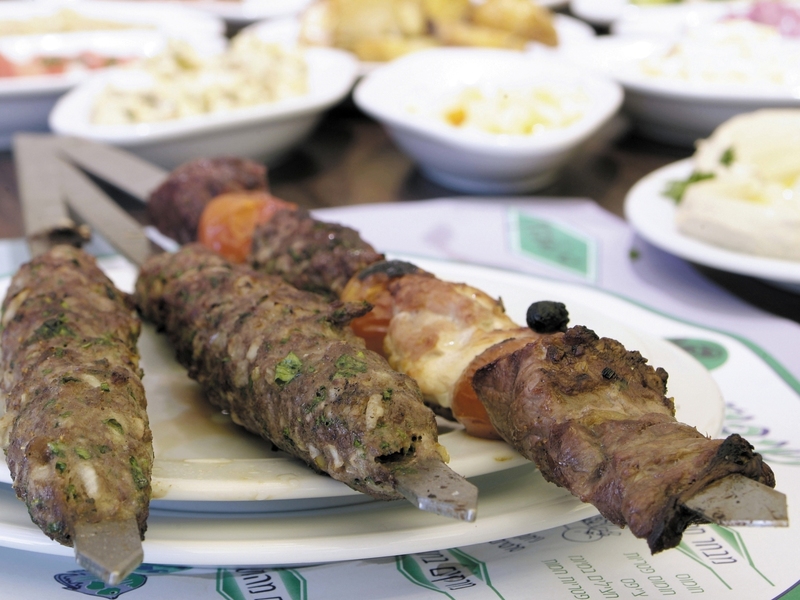 Known as the ultimate Middle Eastern restaurant in Jaffa, Itzik HaGadol offers delicious and high quality meats and fish dishes accompanied by countless salads, dips, and sauces. Immediately after ordering a main dish, waiters will quickly glide to your table with what seems like an endless amount of small dishes and plates, featuring everything from falafel and chips to pickles and eggplant. This traditional meal is truly Instagram worthy. With nearly twenty small plates fighting over space at the table, the variety of colors, textures, and tastes is mesmerizing. While the decor may not be the most exciting, the food certainly is, so pop in for a plethora of vibrant goodness. 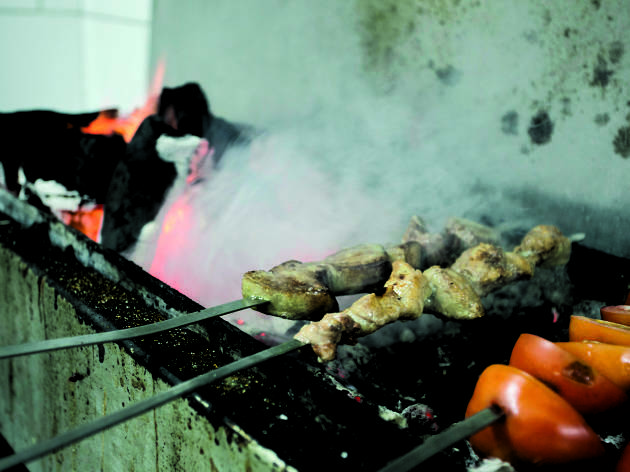 This family-run eatery is the place for every single type of skewered meat you could dream up. Upon entry, you’ll immediately smell the meaty roasting aromas emanating from the authentic charcoal grill in the back kitchen. Kick back and enjoy a comforting lunch alongside French fries and lots of salad. 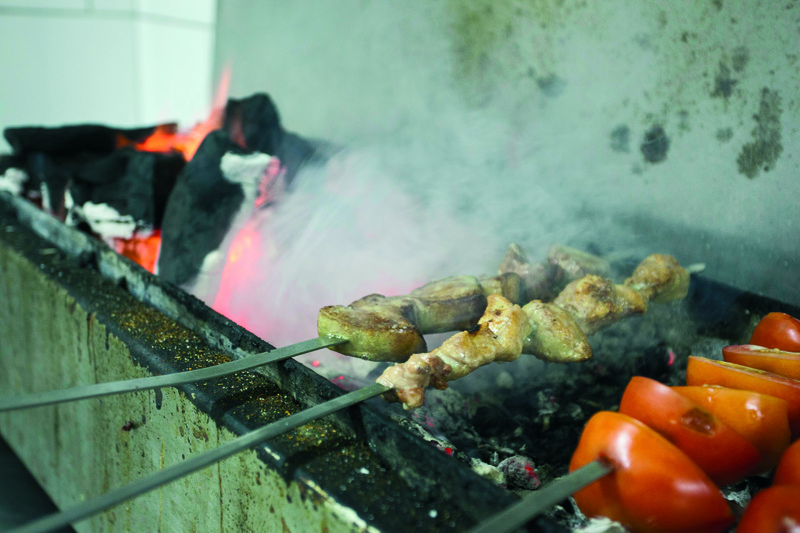 This spot, nicknamed Danny HaBarbari (Danny the Barbarian), is located in a small building where meat arrives fresh from the butcher’s every morning to be thrown on the grill. Enjoy alongside some tahini and ‘amba’ (pickled mango condiment) for a hearty lunch.